An itinerary canguide you through the course of your trip. 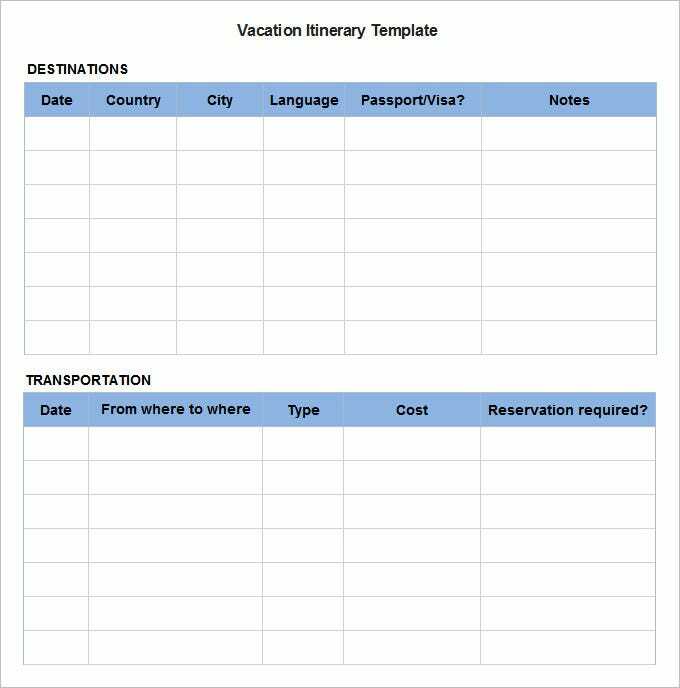 If you are too excited about your vacation to be able to sit down and formulate a workable itinerary, you must take help from external sources such as a Vacation Itinerary Template. This Free Vacation Itinerary Template can be ideally used by Hotels and travel agencies which are handed over to the customer/traveller once they have planned a vacation with them. It gives all details of ‘to-dos’ and acts as a checklist of sorts. 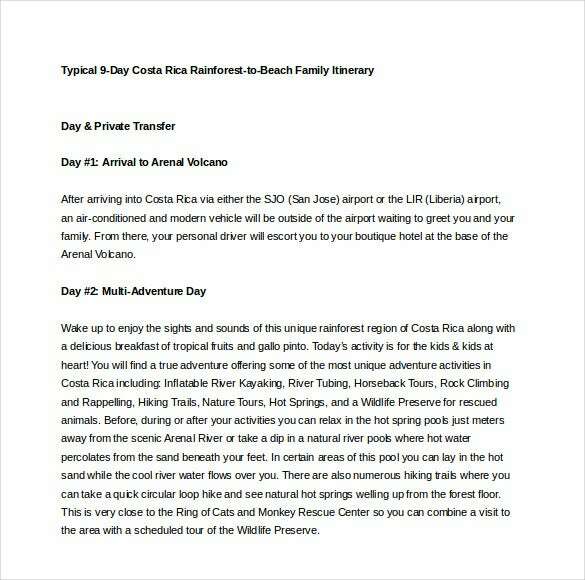 This Vacation Itinerary Template in PDF Format is the best vacation itinerary for tour and travel agents. It is a graphic based template and the images can be easily customizable. It gives a day-to-day break up of the entire tour. 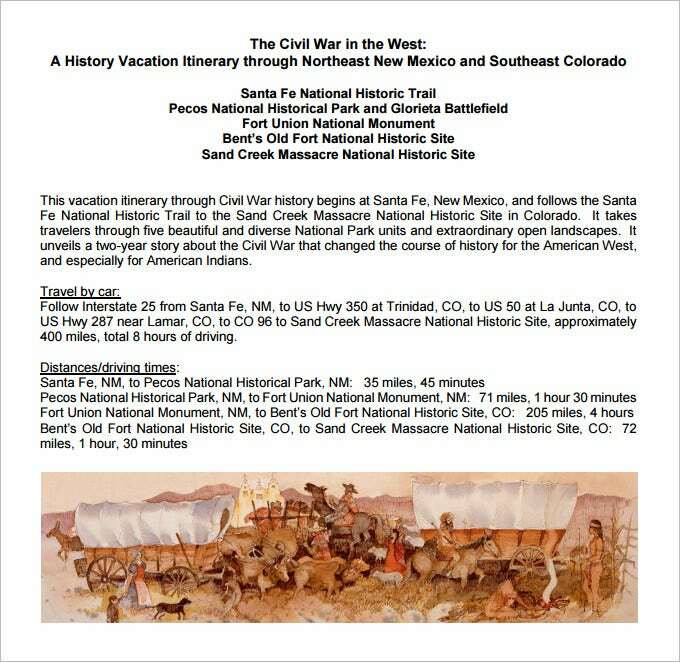 This vacation Itinerary Template is a rather detail, ideal for a trip back in history. It gives a brief account of the place and the history behind it. There is also an option of writing down travel options and Distances and driving time. www.creescapes.com | This Itinerary is for a trip to the Costa Rica Rain Forest and Beach vacation. It gives a vivid description of all the activities one can take up in a location like that and then divide it into the number of days. www.template.net | This is a simple Trip itinerary Template which can be downloaded easily. 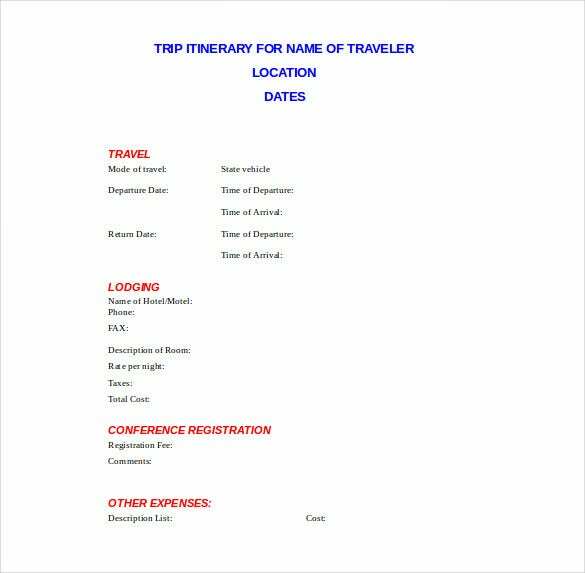 It is a very formal template and can be used by Organizations to manage a conference trip or alike.